How you have recorded, mastered and the medium you send it to Microforum all contribute to the final sound. What is required for submitting an acceptable vinyl premaster to Microforum? The lacquer cutting system (the next step in vinyl manufacturing) is capable of putting very high peak levels on the record, but only ideal playback systems in optimal conditions will be able to play the sound back without distortion. Since we need the record to be playable on all types of equipment, it&apos;s necessary to limit the High Frequency information. 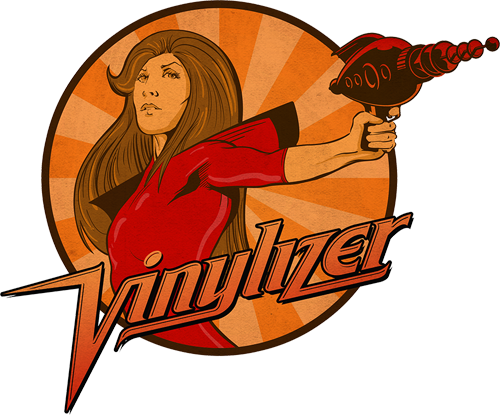 It&apos;s recommended to provide a vinyl premaster that already has a balance of high frequency suitable for vinyl production. Excessive level in the very low bass can cause the record to skip. Excessive stereo information in the bass appears as vertical movement in the groove, so it&apos;s sometimes necessary to remove the stereo component of the music as well as any out of phase information in the very low frequency range. The cutting system is equipped to correct minor issues with the bass however, more severe problems will result in a record that can&apos;t be cut or that sounds very different from the source audio files provided. It&apos;s recommended to provide a vinyl premaster that already has low frequency level and stereo content that is suitable for vinyl production. As a general rule, the longer a side is, the quieter the record will be. Our general guideline for maximum side length is 20 minutes for a 12" 33 rpm record and 14 minutes for a 12" 45 rpm record. However, it&apos;s the bass content in the music that takes up the physical space on the disc, so it&apos;s sometimes possible to have a longer side without compromising the level or audio quality. Not all masters benefit significantly from shorter sides. As well, some styles of music are more ideally suited to a higher playback level, in which case shorter side lengths (15-18 minutes for 12" at 33 rpm, 9-12 minutes for 12" at 45 rpm) are recommended. For 7” record pressing, our general guideline for 3 – 4.5 minutes per side for a 7" 45 rpm record and 5 - 7 minutes per side for a 7" 33 rpm record. The deeper (louder) and wider the cut (more bass), the more space (therefore time) it consumes on the record. Any time that there is a question about whether or not your record complies with these guidelines, there is the option to cut a reference acetate first. An acetate is a disc that is cut just like the master record and can be played a few times to hear what your records will sound like. It can save the extra time and the expense of additional test pressings if you&apos;re unsure. Please contact your Account Manager for details. What are the best ways to send us your audio master files? All audio master files can be sent via file transfer service such as Dropbox, Wetransfer, Google Drive etc. Audio files can be emailed to your account manager directly or info@miciroforumvinyl.com. The PQ sheet tells us everything we need to know in order to cut and press your record correctly.